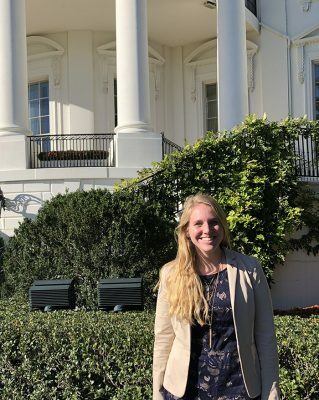 Kara Morrow was awestruck, her fast-beating heart flooded with patriotic pride as she lined up with her White House intern class to meet the President of the United States. 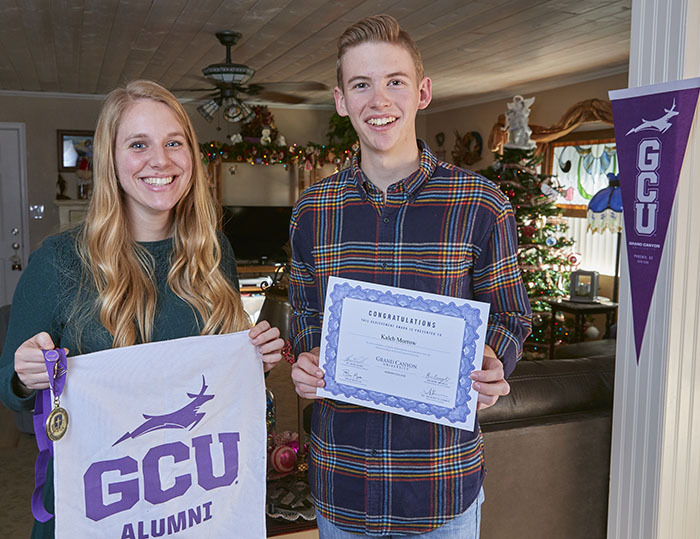 That successful interaction highlighted a six-month period of incredible opportunities for the first Grand Canyon University Honors College student to be selected for a White House internship. A middle child, Kara comes from one of GCU’s most highly accomplished families. 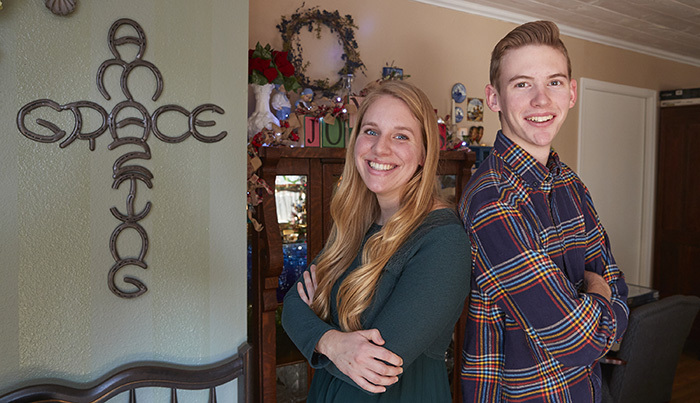 Kelsey Morrow, a 2015 GCU graduate slated to finish chiropractor school in May, and Kaleb Morrow, a National Merit Finalist, complete the Honors College trio, who were raised with love, wisdom and Christian values in the Peoria home of Kelvin and Kelly Morrow. Kaleb, a freshman and budding forensic scientist whose PSAT ranks in the top 1 percent, wryly allowed that the quest for success in the Morrow DNA does not always yield achievement. Kara poses in front of the White House. Their support of Kara, along with encouragement from history professor Dr. David Dean, factored into her bold decision to tackle the application and 32-page background check to compete against several thousand candidates for one of 88 positions in the fall 2018 intern class. While riding home with her family from a Pennsylvania church camp on Aug. 8, she was notified of her acceptance. By the Sept. 5 report date for the unpaid internship, she arranged to stay with Kelvin’s cousin in Maryland. Kara was tasked with compiling polling data on midterm elections, collecting press clippings of initiatives and formatting notes from meetings and interviews into briefing documents. “Much of it was research-based, which as a history major I was very used to,” said Kara, who described the experience as grueling, stressful, challenging and fun. While her expectations were high, the reality exceeded them. Kara (right) with other White House interns. The experience dramatically shifted her frame of reference. Clearly, the intern selection committee saw Kara’s humanity. After pouring herself into GCU — playing intramurals, cheering with the Havocs, logging three years as a Resident Assistant and Honors College student worker and serving as president of the Alpha Chi Honors Society – Kara feared that she didn’t do enough away from campus. 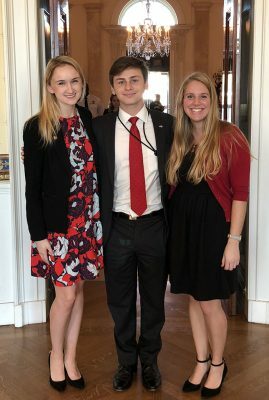 From left, Kelsey, Kara and Kaleb on a special White House tour. 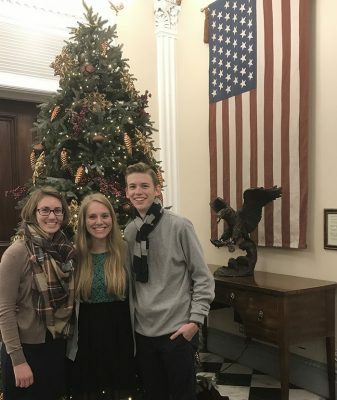 Family members, including Kelly’s parents, shared in her reward by visiting Kara on White House tours and marveling at the Christmas decorations and the history of “The People’s House.” Amid a special West Wing tour, Kaleb was inspired. According to Breanna Naegeli, Associate Dean of the Honors College, Kaleb’s enrollment at GCU was a coup. Kaleb made his college choice like a scientist seeking quantitative data. As a highly accomplished student from a Christian high school, Kaleb earned a Canyon Christian Schools Consortium scholarship. Additionally, he earned the highest academic scholarship GCU offers: the Chancellor Scholarship. His interest in toxicology, the study of poisons, fluids and drugs, was spurred by a chemistry class and a forensic science class at Northwest Christian. 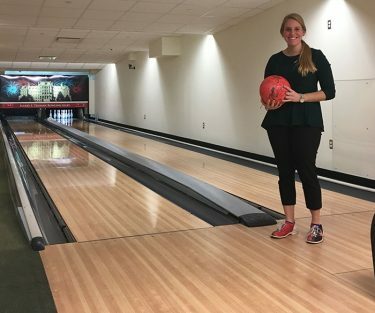 One of the perks for Kara and other White House interns was using the Harry S. Truman Bowling Alley. Typically, he followed his curiosity wherever it led. As a 13-year-old, he attended one of Kelsey’s physics classes at GCU. 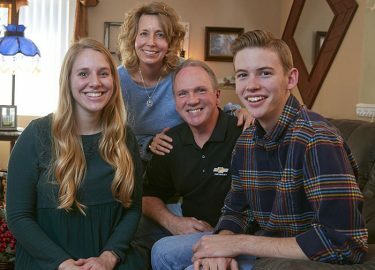 The easygoing, self-deprecating young man interacts at Chapel and Life Group with friends and returns home on Sundays to see his parents and attend services at Phoenix Free Presbyterian (PFP) Church, where Kelvin and Kelly met. Kelvin, a Tekemah, Neb., farm boy, earned a degree in technology from the University of Nebraska, worked in Detroit for a few years and then transferred to Phoenix, where he became a Christian, started attending PFP and met Kelly. After their wedding and the birth of Kelsey, Kelly gave up her accounting career to become a stay-at-home mom, attending her children’s plays, band concerts, athletic events and school presentations. From Day 1, “they just loved school,” Kelly said. For now, that looks like Kelsey treating patients, Kara returning to Washington, D.C., to work in government and Kaleb living his best Lope life.